If your birthday falls in November, you are celebrated with two birthstones that evoke the colors of the changing leaves and the deep clear blue skies of autumn. Citrine and topaz are frequently confused. While some varieties of these gemstone are similar in color, they vary in composition and price. Citrine’s spectrum of colors ranges from pale yellow to deep orange-brown with varying shades of gold found in-between. Topaz can also be golden (the most expensive variety are) but are often actually colorless — the stones are treated to achieve the more familiar blue tones. While citrine exists in a pure form, much of what is found in the jewelry market is heat-treated amethyst. (Both citrine and amethyst are quartz crystals; topaz is composed of aluminum silicate.) 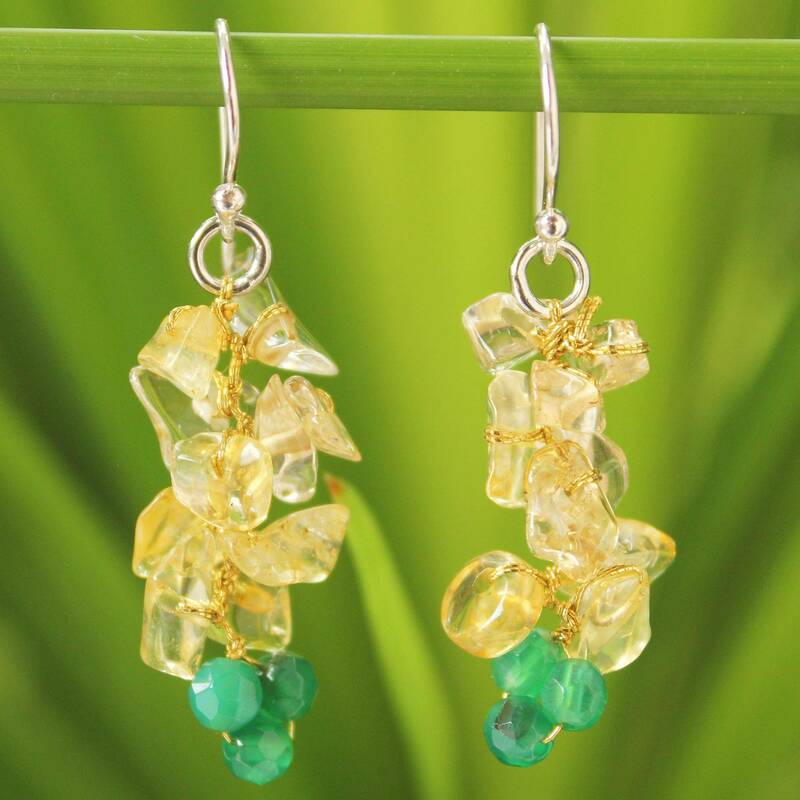 Citrine and treated topaz are among the more affordable of semi-precious gemstones. Although citrine’s name is derived from the French word, citrine, which means “yellow,” most citrine is found in Brazil, Russia, Madagascar and some regions of the U.S. The first known citrine pieces were found around 300 B.C. Citrine possesses dual properties of healing and prosperity. 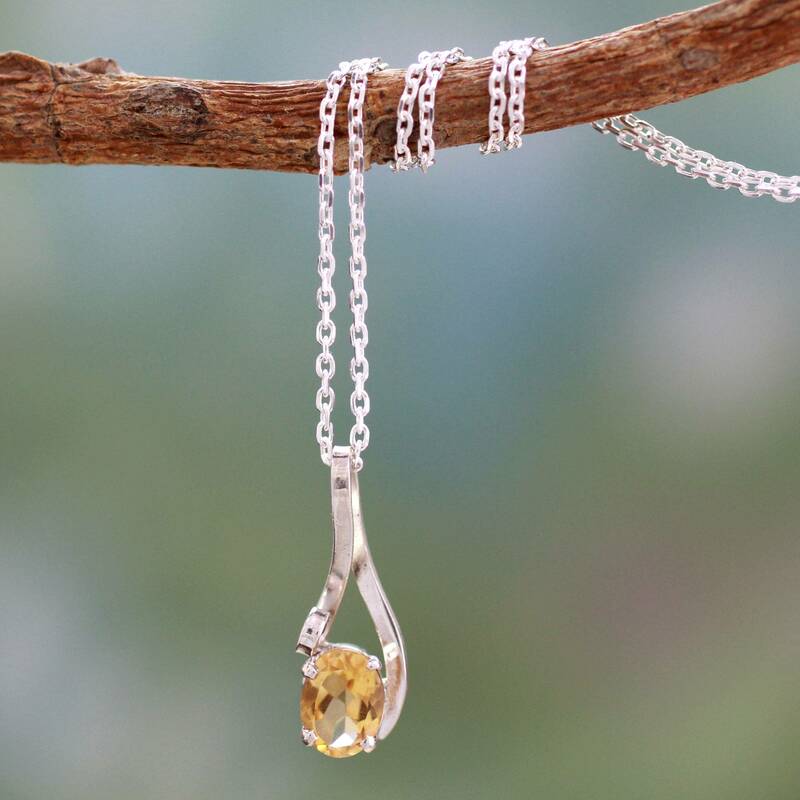 Known as the “merchant’s stone,” citrine was believed to attract wealth. 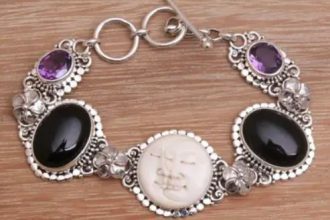 It was also believed to cleanse the wearer of negativity and promote strength. The ancient Celts often incorporated citrine into the handles of their battle weapons. Citrine is also associated with love, wisdom and concentration. Citrine was very popular during the Art Deco era. Because the surface of citrine is soft, it was often used for intaglio, intricate designs carved into a gemstone’s surface. According to legend, topaz is named for the Greek Island of Topazona, but the word also means “fire” in Sanskirt. Topaz earned its place in the bible, which mentions it as among the stones that decorated the breastplate of Aaron, who, with his brother Moses, led the Israelites out of Egypt. Topaz is mainly mined in Brazil, though it can also be found in Russia, Afghanistan, parts of Europe and the U.S. Ancient Egyptians and Romans likened topaz to the sun and believed it could offer healing and protection, good health and good fortune while also enhancing creativity. It was also thought to be effective for banishing spells. In its colorless form, topaz looks so much like diamond that gemologists today believe that a 1,640 carat version of the stone was mistakenly dubbed the world’s largest diamond and used as the centerpiece of a Portuguese royal crown crafted in 1740. Called the “Braganza Diamond,” the stone was probably a colorless topaz though we’ll never know for sure as it went missing in the early 1800s. The “American Golden” topaz nearly 14 times its size can be seen today at the Smithsonian Museum in Washington D.C.
Because citrine and topaz come in such a wide array of colors, you’ll have no trouble finding the perfect stone or setting for the November babies in your life. Here are a few of our favorites for sale on UNICEF Market right now! 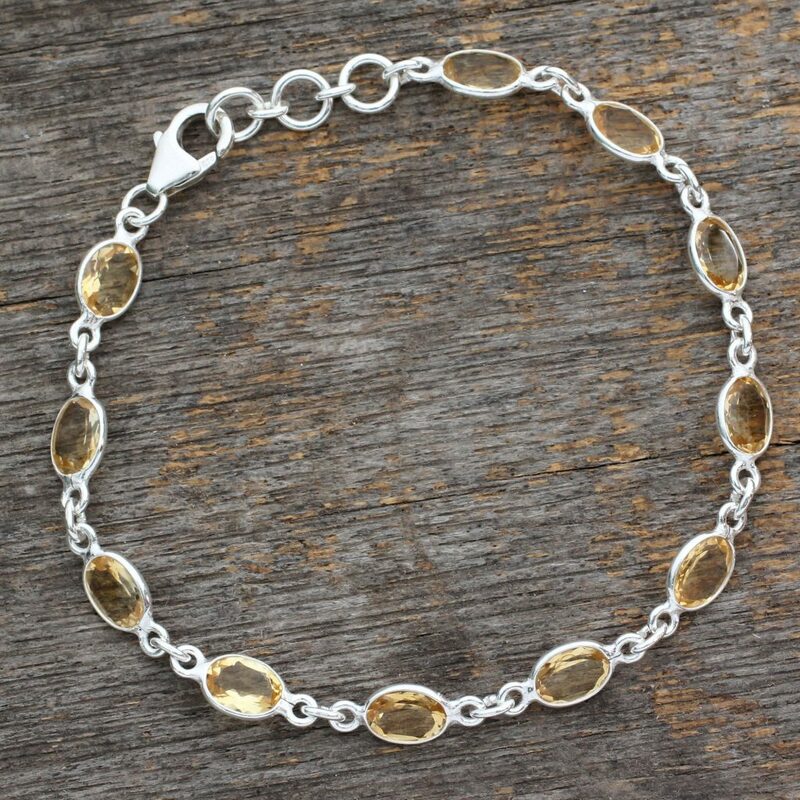 Spread a little sunshine with this stunning necklace created from citrine set in sterling silver. Citrine and agate beads float on a silk cord from sterling silver hooks. 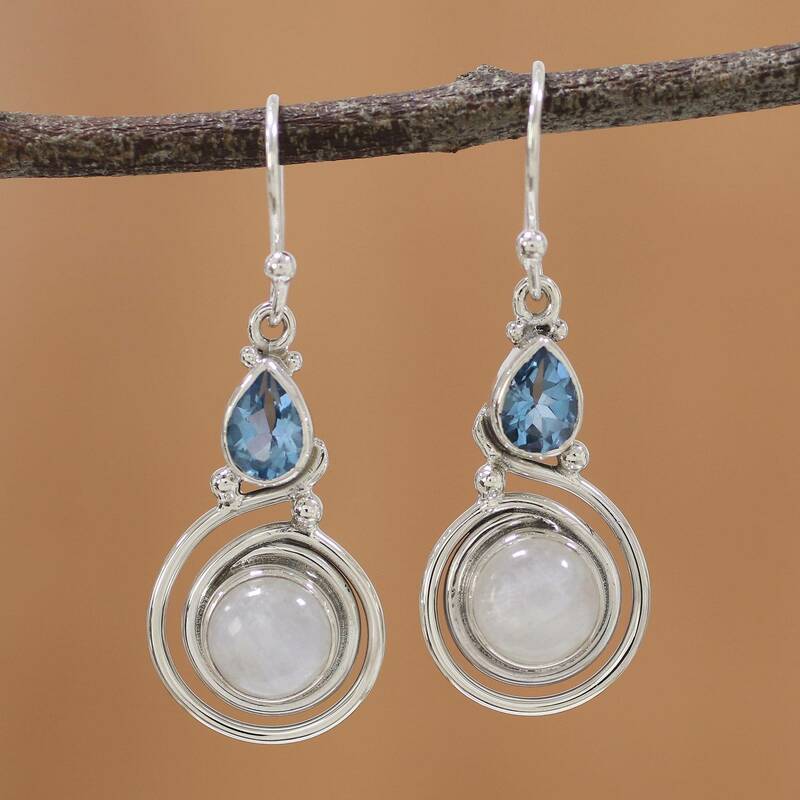 These stunning sterling silver earrings combine topaz and moonstone! 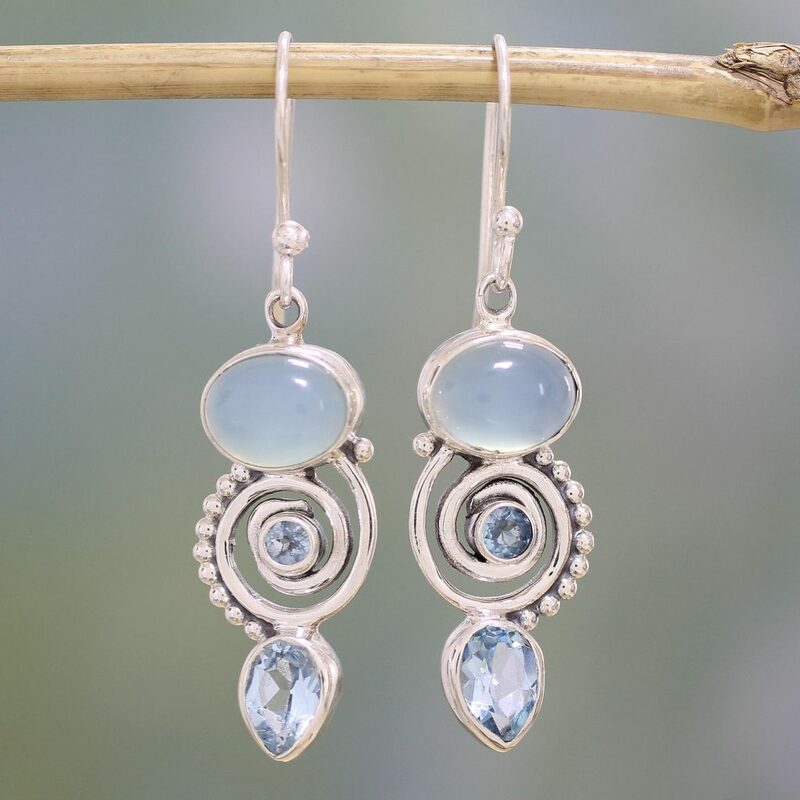 November babies will love these on-trend statement earrings hand-crafted from sky blue topaz and sterling silver. 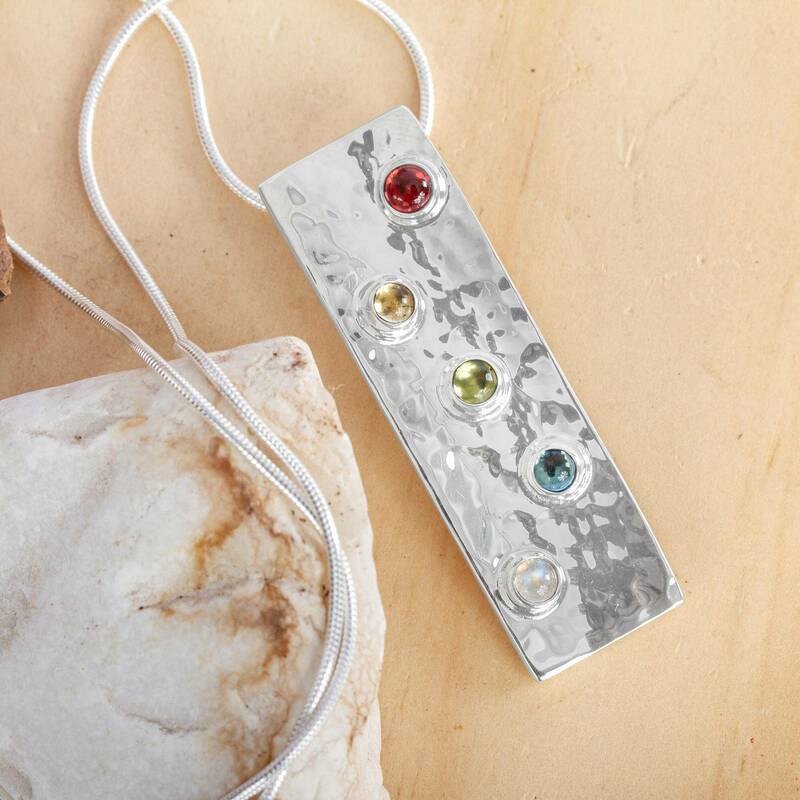 Blue topaz, garnet, peridot, citrine and moonstone dazzle in this modernist sterling silver pendant. 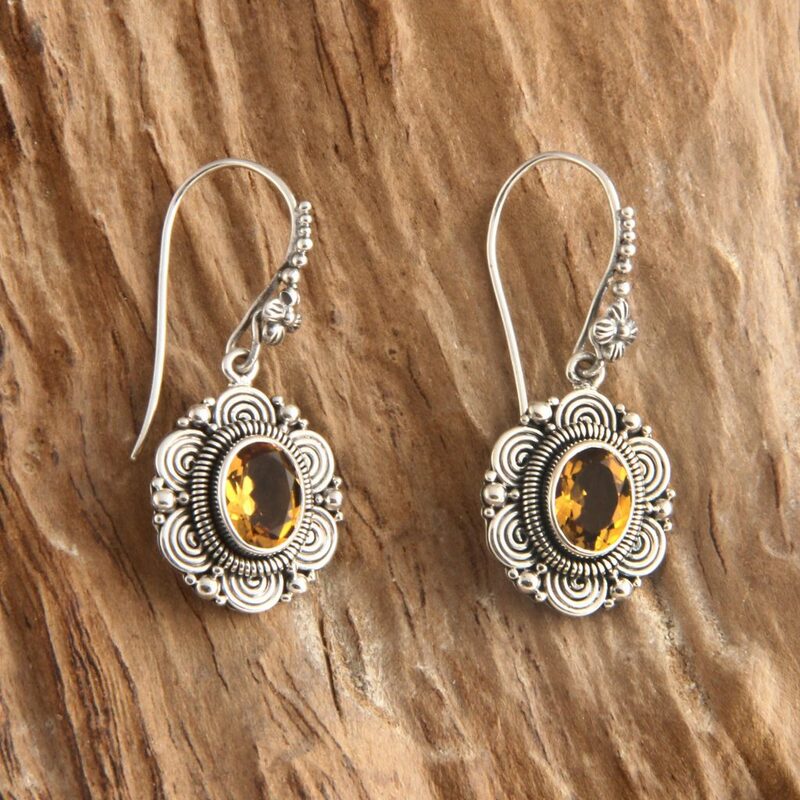 These floral sterling silver and citrine dangle earrings represent a Balinese sunflower. Sparkling citrines radiate an aura of romance in this tennis bracelet. 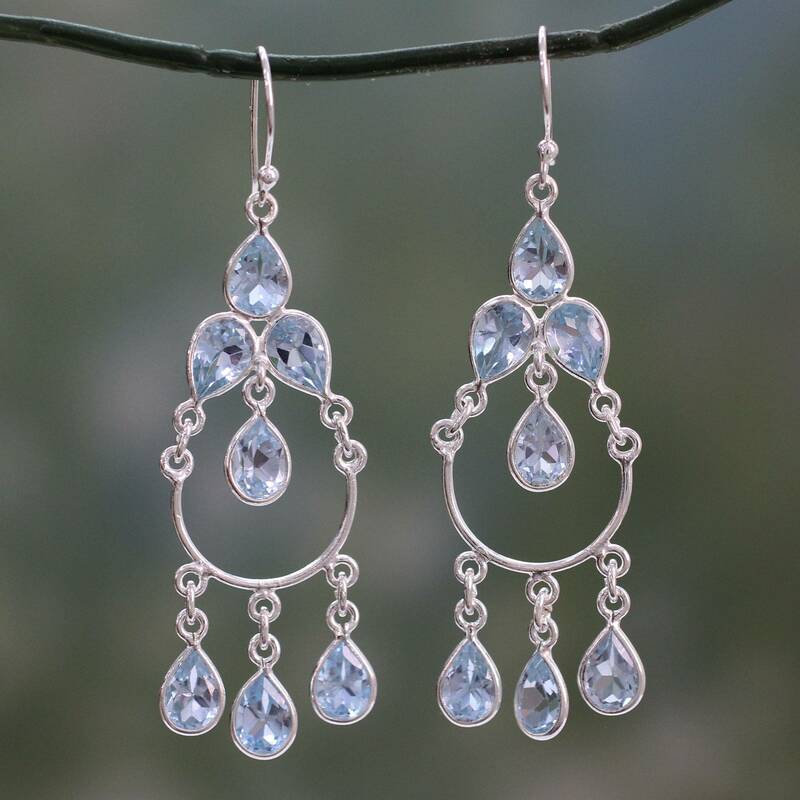 Cool blue topaz takes you on a sentimental journey in these sterling silver dangle earrings. 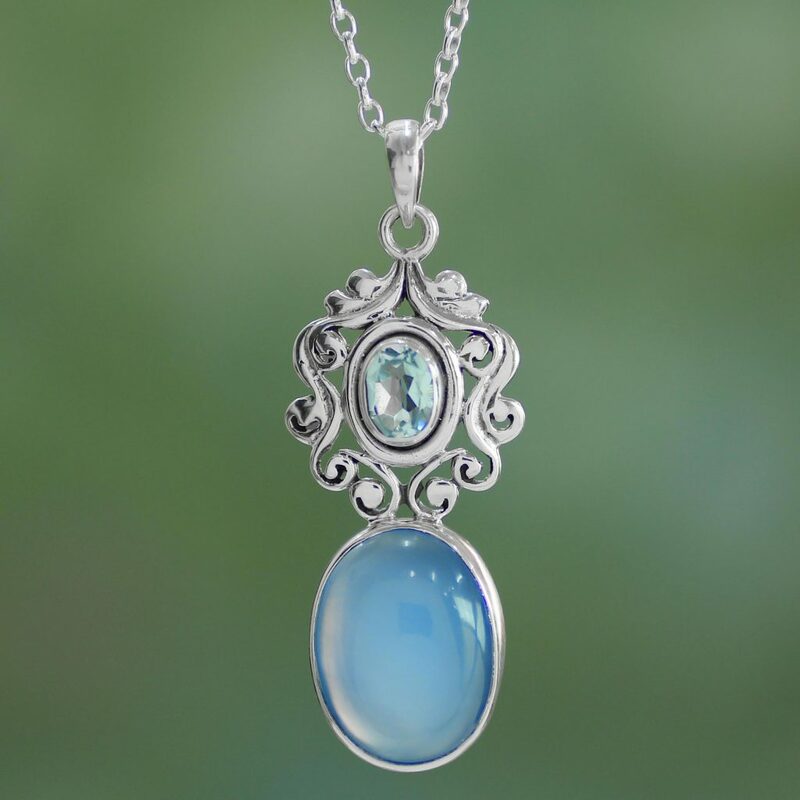 Sterling silver tendrils surround a sparkling blue topaz gemstone at the peak of a dramatic pendant.